Those numbers don't even account for the personal loss of an employee who contributed to your organization's culture or carried dedicated, irreplaceable expertise. Given those tangible and intangible costs, it's only natural to avoid turnover as much as possible. Why then, do we wait until it's too late to diagnose why our team members leave? It doesn't have to be that way. Instead, you can pay attention to very specific warning signs that help you take action before a disgruntled employee seeks employment elsewhere. Through these 5 ways, you can recognize employee dissatisfaction before it's too late to do something about it. Declining quality of work from one of your team members is perhaps the most obvious sign that they're not happy with their jobs. Consider an employee who has set a baseline of work that tends to meet and exceed expectations in both turnaround times and quality. When that baseline begins to drop, something is probably wrong. Often, this employee doesn't feel like the quality of their work is noticed anymore. They don't invest personally into their work, because they don't see its value and don't believe that others do, either. To fight this perception, be sure to keep your teams involved in the larger picture. Show them the outcomes of their work, and how their daily tasks contribute to them. That builds up personal investment in their work, which in turn leads to better quality. Motivated employees want to keep moving. They are eager to learn more, expanding their skill set while looking for opportunities to climb the latter. When either of these sign posts suddenly stop, you might have a dissatisfied team member on your hand. These employees have become complacent. They don't see opportunities to go further than they already have. Unfortunately, human nature is to keep striving forward. If they can't find the opportunities with you, they'll start to look for them elsewhere. To fight this symptom, find the opportunities your employees are looking for. Offer trainings that are not necessarily related to their jobs, but personal interests they can pursue with you. If you get them interested in learning through your organization, they'll begin to re-engage. We all know the late arrivers to work, especially when they tend to leave early as well. Their co-workers call them slackers, and management wonders if they're worth their salary. But have you ever wondered just why someone would not work a full day? Maybe they dread coming into work in the mornings. Maybe they cannot wait to get out. Rather than condemn them outright, start thinking about the reasons why that might be. Often, these are dissatisfied employees who simply want to minimize their time spent at the company. If you're not careful, this group will be among the first to leave when the opportunity arises. You can fight it by fighting the reasons they might not enjoy their work; perhaps they have a problem with their co-worker, or simply hate the current task they were assigned. Once you know the cause, you can address it in a personal, targeted fashion. Yes, team members who don't say much in meetings and water cooler discussions may simply be introverts. But they could also have become disconnected from the team for a variety of reasons that are fixable if addressed the right way. Often, these employees feel like their input doesn't matter. Why share it if no one pays attention anyways? When you detect this as a reason, call them out specifically in meetings and personal conversations, and show them how you're implementing their input. In social context, the issue could be more complicated. In addition to becoming disaffectionate, the employee may have a serious problem with a co-worker. Try to engage them in a talk in a neutral territory, approaching the conversation as objectively as possible. Find out what's the matter, and what you can do to fix it. We all get annoyed by the employee who constantly nixes ideas, disagrees with co-workers, and takes the negative point of view. Worse, they may start whispering behind other people's backs, spreading rumors and complaining in a safe environment. These types of reactions are actually closely related to the above. While some go quiet when they don't feel their input or opinion is valid, others take it out on their co-workers. Often, the reason is the same, and the ways to address them are identical as well. They might, for example, feel slighted by someone getting hired or promoted over them. And again, the best solution is a direct chat at which you look to get to the root of the issue. The more you can learn in this environment, as you encourage honesty, the more easily you can react. How Can You Build a Better Employee Retention System? All of these issues tend to be warning signs that ultimately lead to a disgruntled employee. When they leave, they leave behind a void. The key to preventing that void is early detection, as soon as you detect them. That's easier said than done. Many larger companies build a listening system that gives their team members outlets to complain and voice concerns before they get disconnected or suppressed through the channels above. Above all, though, you need a strategy designed to catch early warning signs, follow up where appropriate, and implement measures for a more satisfied workforce. Keeping employees engaged and productive in your company is a major challenge for many leaders. 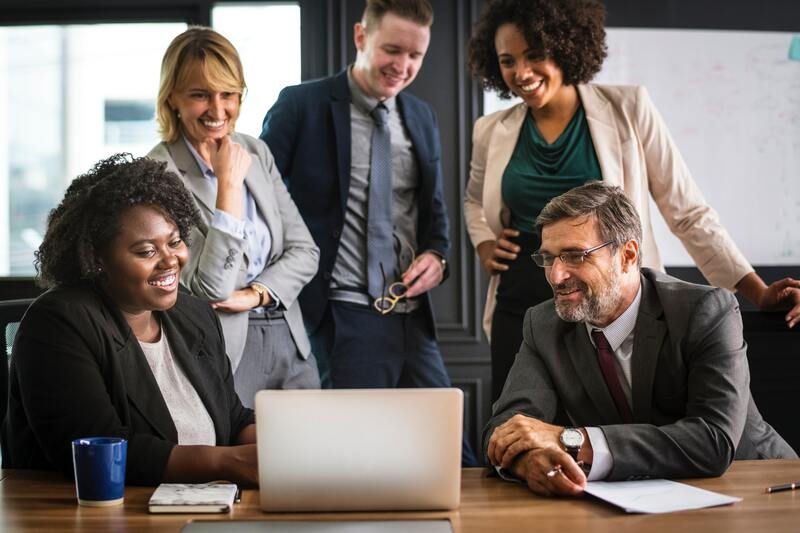 Leadership training and team building opportunities can help you better understand your co-workers and find ways to prevent them from becoming dissatisfied. Contact us to learn more about your training opportunities and begin to build a retention system designed for sustainable success. If your organization is aware of the tremendous cost associated with turnover, and you realize you are losing some of your best people, it is important to assess the symptoms and address methods for enhancing employee retention. Download our whitepaper "Techniques for Retaining and Engaging Your Workforce".